Business Owners: Do You Have An Indoor Air Quality Management System in Place? Keeping track of indoor air quality can be an easy task to push to the back burner when you have to meet the many day-to-day requirements of running a business. But when your workers start calling in sick more frequently and productivity starts to decrease, these are signs that indoor air quality may be cause for concern. 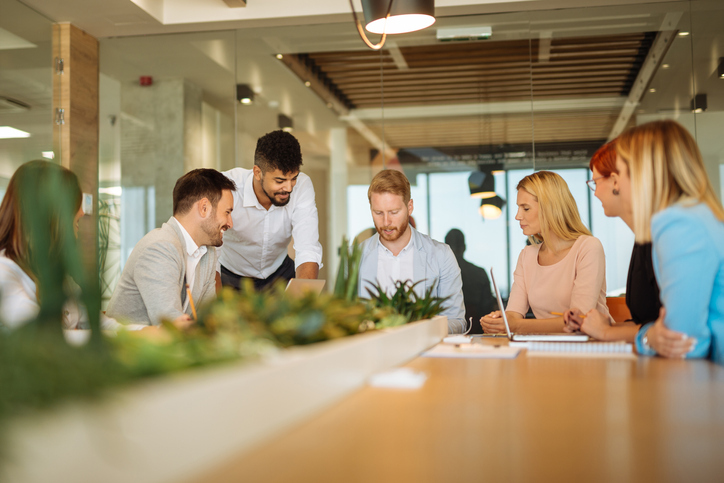 In this post, we share information to help you learn more about workplace indoor air quality management as part of maintaining a safe and healthy workplace for your staff. Currently, there are no overarching laws or legislation in Canada governing what employers are required to provide to workers in terms of minimum indoor air quality. However, as the Canadian Centre for Occupational Health and Safety points out, it is implied under the “general duty” clause that specifies employers must provide workers a safe and healthy workplace,” including “good quality” air for workers to breathe. If this language sounds uncomfortably vague to you, you are not alone. However, different standards regarding proper indoor air ventilation and purification may apply to different workplaces depending on the types of chemicals and/or contaminants or pollutants being handled or used. Similarly, businesses such as hospitals or laboratories, where indoor air quality can be paramount, may have more stringent requirements. Due to exposure, workers are often the first to notice deteriorating indoor air quality. When workers begin to experience health symptoms that arise upon entering the workplace and subside upon leaving, this can indicate that indoor air quality may be the culprit. Health symptoms to watch for include coughing or sneezing, dry or itchy eyes, sore throat, mental fogginess, dizziness, nausea, congestion, wheezing, shortness of breath, headache, and respiratory and allergy sensitivity. When workers report feeling worse after arriving at work and feeling better after leaving work, it is time to take a closer look at the indoor air quality and the possibility of Sick Building Syndrome (SBS). Sick Building Syndrome is the term used to describe cases where a worker’s health symptoms appear to have no other possible cause other than time spent inside the work building itself. Investigating suspicious health symptoms or worker air quality complaints is not always an easy or straightforward process. Luckily, the Canadian Centre for Occupational Health and Safety provides several helpful workplace checklists to walk you through the basics of examining complaints about worker health symptoms and about building air quality or condition. It is particularly important to follow some type of standardized checklist or procedure to investigate suspected air quality-related health symptoms, since indoor air quality or building condition is not the only potential culprit that may be causing an individual worker’s or even a specific group of workers’ health symptoms. As the employer, you have responsibility to ensure a safe and healthy workplace. But your workers also have responsibilities to follow workplace health and safety guidelines, accurately document procedures, keep detailed records of any suspected air quality-related health symptoms and comply with all workplace program requirements for reporting concerns. Ideally, you want to institute a workplace indoor air quality management system before any problems arise. However, the reality is that most such programs take shape after workers begin reporting concerns or health symptoms. Here, the most important goal is to develop your own indoor air quality management program that you can rely on and turn to now and in the future to keep your workplace safe and your workers healthy. Having a program in place will ultimately prove protective of both you as the employer and your workers. The U.S. Environmental Protection Agency (EPA) offers a very helpful free online IAQ management checklist you can use to help structure your program. When we are contacted by a commercial or residential customer who is concerned about the quality of their indoor air, the first thing we recommend is to schedule an indoor air quality test. Indoor air quality issues can span the gamut from a potentially deadly carbon monoxide leak to a mildly irritating build-up of animal dander, but the only way to know for sure what you are dealing with is to go right to the source and test the air itself. Our 72-hour indoor air quality test is unobtrusive and completely silent so it will not disrupt regular workplace operations. Workers likely won’t even know it is going on unless you choose to inform them! During the testing period, our equipment takes continuous air samples and analyzes them for the presence of a wide variety of known airborne toxins and particulate matter. At the end of the 72-hour testing period, you will receive a multi-page full-color printout detailing the quality of your indoor air at different time periods throughout the day and evening. This printout will also include recommendations for addressing specific concerns. You will also receive personalized guidance from one of our highly trained and experienced Indoor Air Quality Advisors. The Canadian Centre for Occupational Health and Safety recommends bringing in a licensed HVAC and indoor air quality professional to work with your own in-house HS&E team to diagnose and treat suspected and/or known indoor air quality concerns in the workplace. When we are called to a worksite for this purpose, our ultimate goal is not just to treat the urgent and immediate air quality issues, but also to help you set up a system to alleviate future concerns. HRV equipment ensures a steady influx of fresh, oxygenated air, helps to lower your heating and cooling bills year-round and assists with balancing seasonal humidity. HEPA filtration and ultraviolet purification are two proven technologies to provide improved workplace indoor air quality.